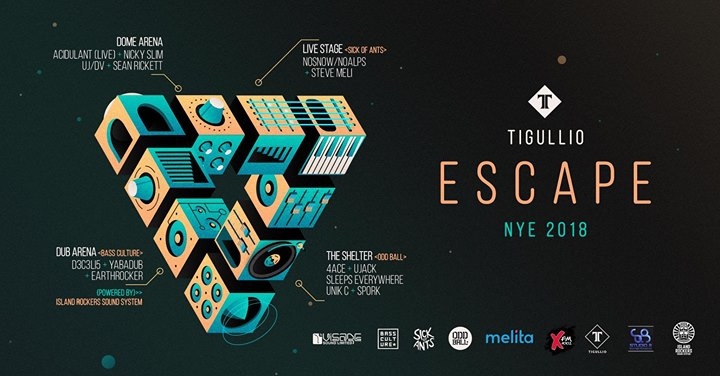 🔊 An ESCAPE from all the conventional events this NYE! Explore a musical labyrinth with a mix of Tech, House, Alternative Rock & Dub over 4 different areas, with a no-holds-barred open bar service..
YAS! For a mere €35 you can enjoy access to all areas and avail yourself from an OPEN BAR serving premium spirits ALL NIGHT LONG!! We expect to SELL OUT FAST, so get your tickets ASAP!